This blog is a resource for postgraduate students in NUI Maynooth, specifically students in the research groups of Drs Sean Commins and Richard Roche, in the Department of Psychology, NUI Maynooth. Neuro lab research within the Department of Psychology at NUI Maynooth investigates the brain areas underlying different processes and behaviours, from a cellular and molecular level (the biological building blocks of the brain) to a cognitive and behaviour level (how we think, reason, navigate). Key areas of research include spatial navigation, memory processing, stroke, schizophrenia, and neuroeconomics. The idea and original creation of a blog for Maynooth’s Neuro Lab can be accredited to Dr Richard Roche. One of the aims of this blog is to provide quick overviews or introductions to areas within neuroscience that you may be interested in or working on – spatial memory, ERPs, watermaze, LTP etc. Therefore, this blog will include some General Introduction chapters of postgrads in the group who have already submitted their thesis. The hope is that the knowledge and expertise of these lab alumni will be maintained somewhere, even if the postgrads themselves move on. These lab alumni include Drs Sarah Craig, Anne-Marie McGauran, Deirdre Harvey, John Kealy, Jennifer Moore, Jonathan Murphy, Paraic Scanlon, Drs Mairead Diviney and Jennifer Murphy. The alumni page of this blog contains more information on these past students, and their current endeavours. NUIM Neuro Lab news and events will be posted here, with regular updates on current student activity, upcoming conferences, etc. You can subscribe to this blog by clicking the link in the left sidebar, to stay up-to-date with our news and events. This blog was initially set up solely for postgraduate students, with the aim of being interactive, so that students can either add to/edit existing posts, or create new ones, based on their own areas of interest. Therefore, this is a resource for you and postgrads like you, with content from you and postgrads like you – we hope that you will use it, benefit from it, add to it and keep it going so that future postgrads can benefit from your knowledge just as you will hopefully benefit from the knowledge of those who have preceded you. Note: Some of the blog content is password protected, to maintain ownership rights. 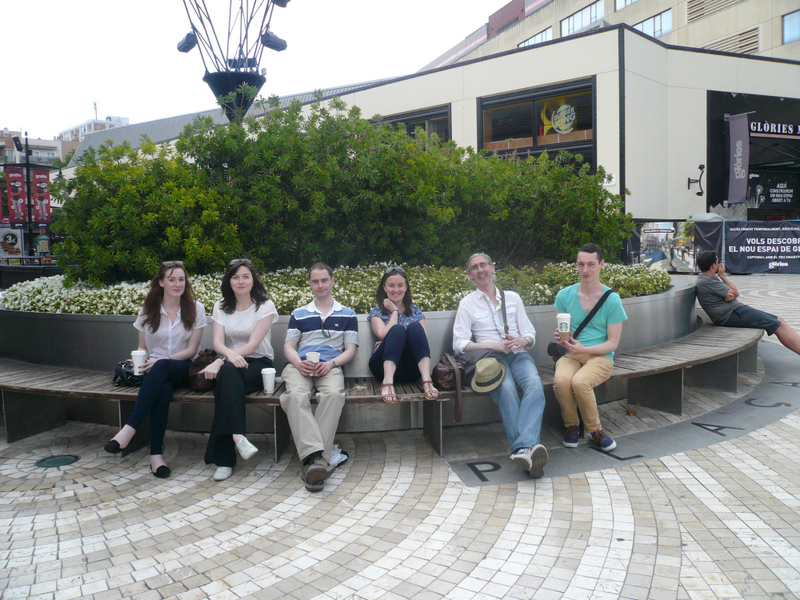 NUIM Neuro Lab members on tour: FENS 2012, Barcelona, Spain.